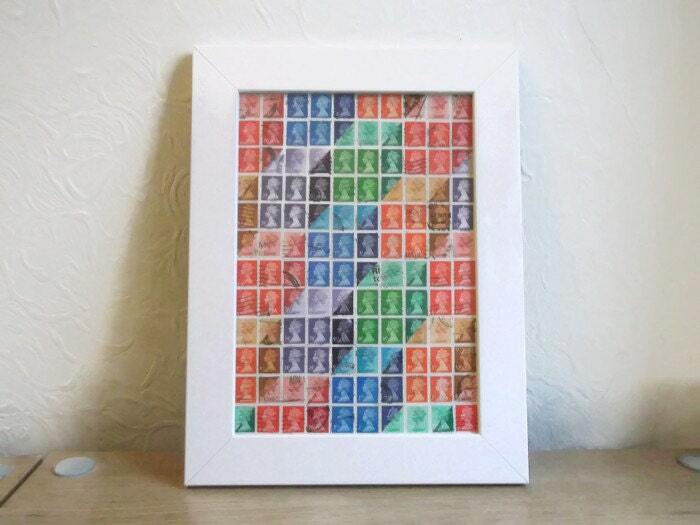 Dimensions including frame: 28 x 37cm = 11" x 14.5"
A playful geometric rainbow pattern to add a splash of retro British colour to your home or office. 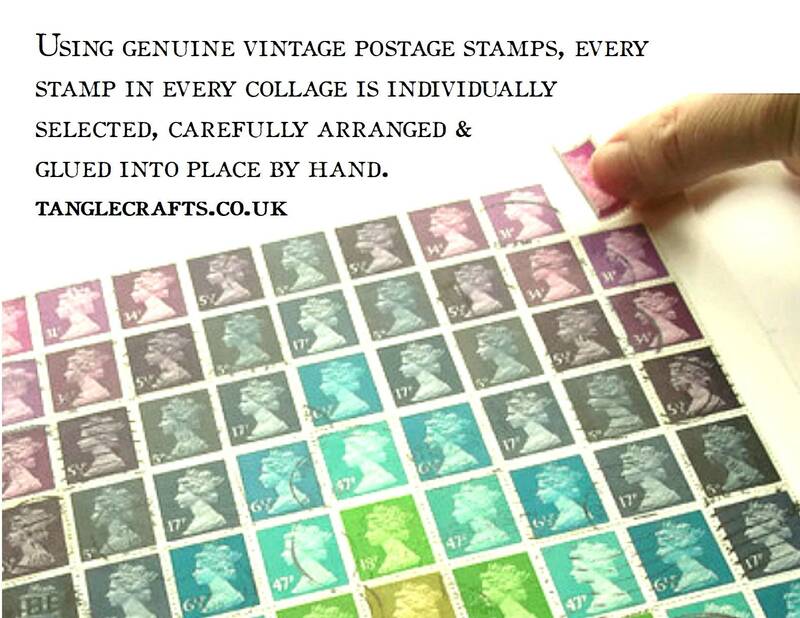 The stamps have been arranged to recreate the classic cube/boxes optical illusion: an original collage artwork that will be a fascinating talking point for years to come! 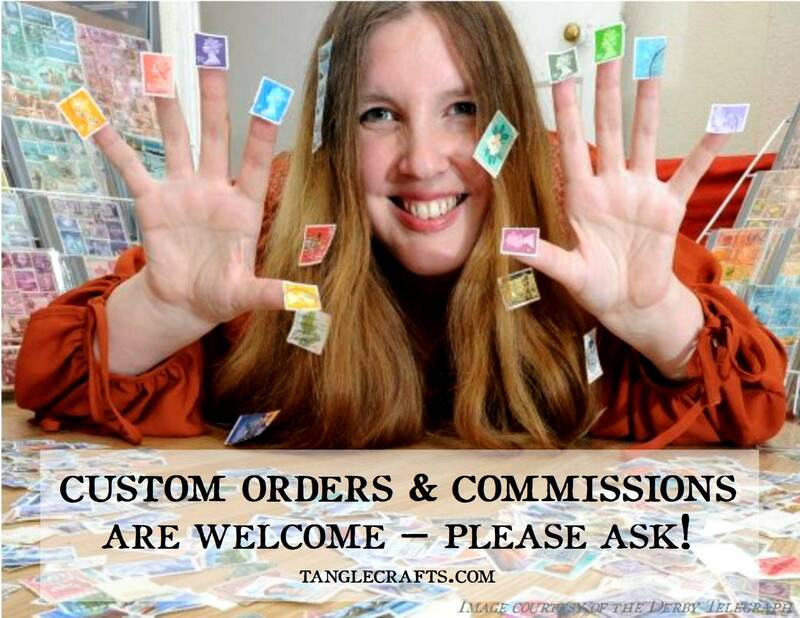 Your framed collage will be made to order, just for you so will vary slightly from those shown (eg in postmark placement, exact shade/denomination of stamps) but will follow the same colour pattern. 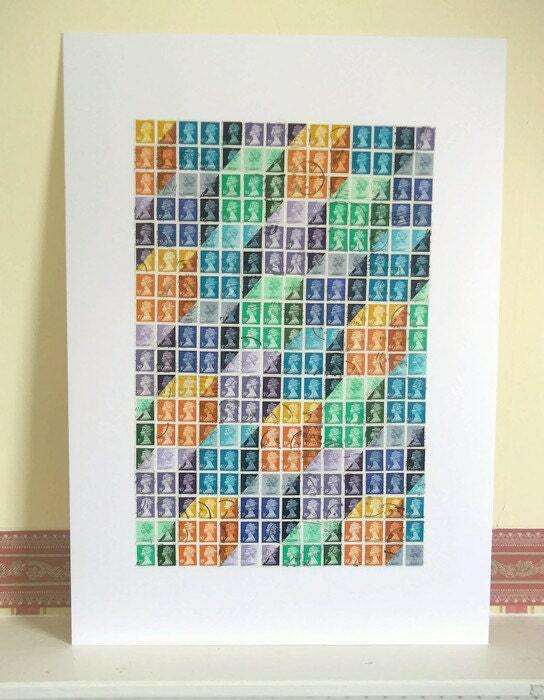 The design uses a combination of upcycled classic British Machin-design postage stamps in 12 different colours/denominations, dating from the 1960s through to the 1990s. 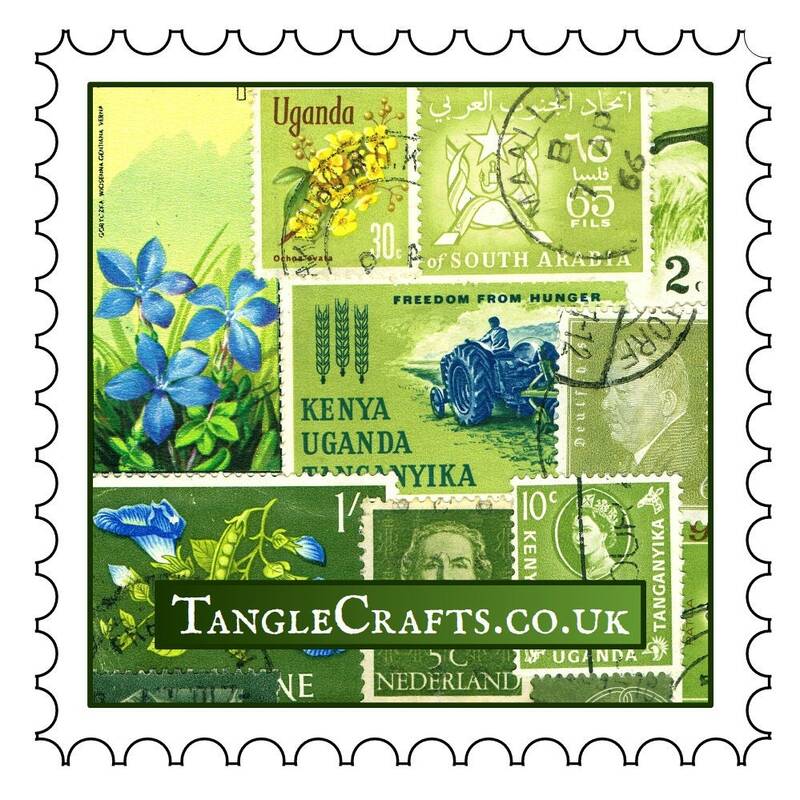 The stamps still bear fragments of postmarks and other cancellation marks as a testament to their former active service for the Royal Mail, ensuring that each artwork is entirely unique. 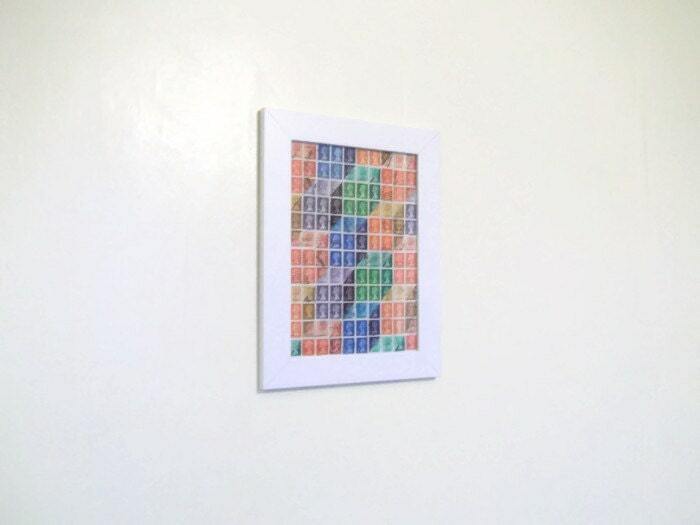 The frame provides a simple border in crisp, smooth white. 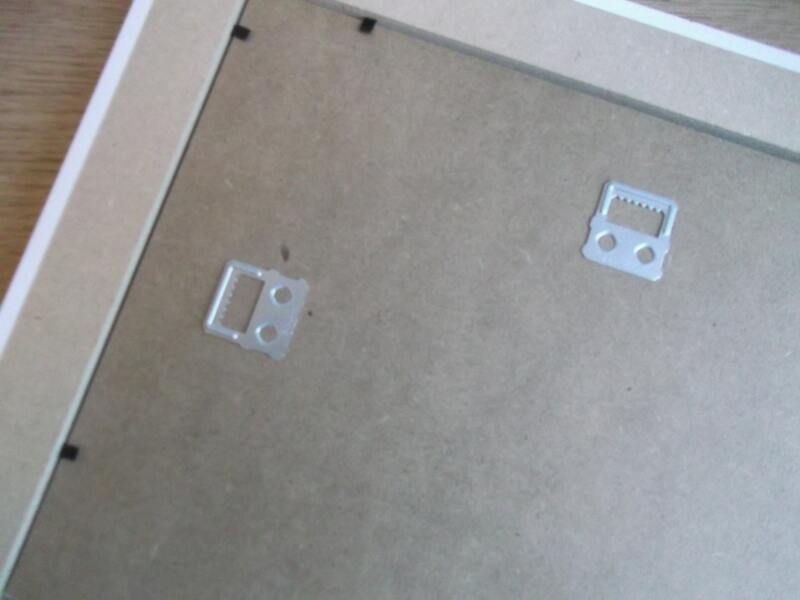 It is fitted with acrylic safety glass (safer & lighter for shipping), and includes hook for wall-hanging.